So you all probably know by now that once in a while I search the web to find some of my never ending lemmings. If I manage to find one or two, they’re often being sold for a crazy high price. And although I absolutely love to add them to my collection, I still am not going to pay a ridiculous amount of money for them. 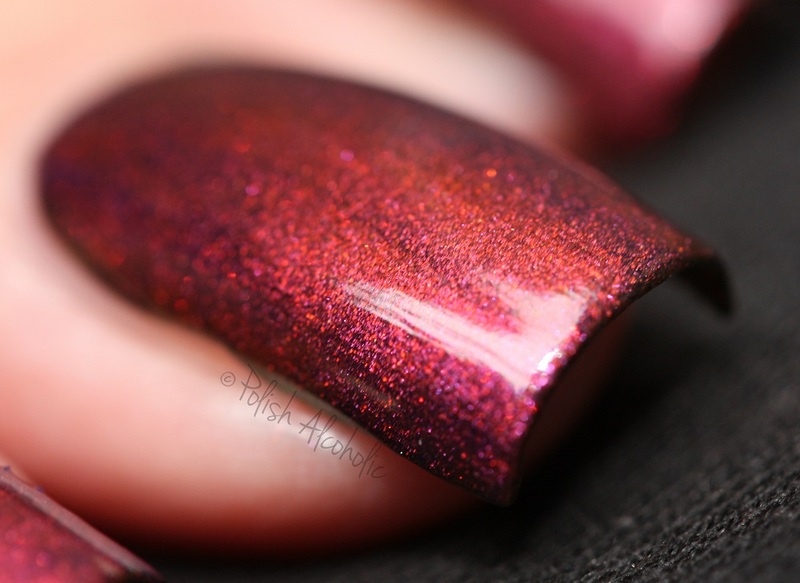 OPI‘s Man of La Mancha was on my wishlist for a very long time. This black label polish was discontinued a long time ago and has that typical strong scent to it. This one isn’t too bad though compared to the other oldies that I have. For my photo’s below I applied two thin coats over a black base and topped it with one coat of top coat: This also has a golden sheen to it which my camera couldn’t pick up. It is absolutely gorgeous! What do you think of this one?